In July, 2013, the report of the Abbottabad Commission was published, which had also recorded the statement of the ex-DG ISI, Lt. Gen. Ahmed Shuja Pasha who indicated that the CIA had infiltrated in many foreign Non Governmental Organizations (NGOs) in Pakistan including Save the Children, and due to lack of cooperation by other civil agencies and police, it was not possible for the ISI to track activities of all these NGOs. However, these non-state entities which are called NGOs are non-profit groups, organized at local, regional and international level to address issues concerning human wellbeing and goodness of people, and have, no doubt, brought about social change in the less developed countries. NGOs are independent in their outlook, but are faced with the constraints of operating under sovereign compulsions and constitutional obligations of host countries to plan and execute their activities. Overtly, the vision, mission and operating principle of the NGOs is to provide humanitarian services towards surmounting poverty, eradicating endemic diseases and providing relief to the victims of natural and manmade calamities and other tormented ordeals of the masses. 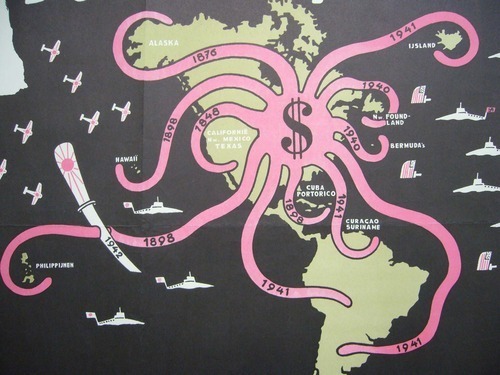 But covertly, some foreign and even domestic institutions manipulate the NGOs to further the imperial agenda of some vested interests, especially western powers which take advantage of these non-sovereign entities so as to promote their political influence by financing them and dictating their malevolent stratagem, which is contravention to the accepted norms and value systems of the host country. In fact, it is a new face of imperialism which can take the shape of aiding and abetting regional interest groups to revolt against the legitimate governments and develop suitable platforms to endorse their schema. In these terms, the unique idea of creating Unrepresented Nations and Peoples Organization (UNPO) was implemented at the Peace Palace in Hague in 1991. The humanitarian purpose behind was that since UNPO members were not adequately represented in the UNO, hence, it was created with a noble mission: to help minorities, marginalized communities and sub-nationalities to find a platform from where they could raise their voice in order to maintain their identity and to avoid total exclusion. Initially, UNPO was entirely formed by its 15 members, but now it includes over 40 members. Although the membership is given to those who pledge to remain nonviolent, working for human rights, democracy, self determination, environmental protection and promotion of tolerance, yet some of the sponsors exploit UNPO for the endorsement of their vested interests. It has been noted that a few members of UNPO in EU and USA are involved in instigating Pakistani nationals to participate in anti-state activities, support insurgency and promote dissents. Reportedly, UNPO is extensively involved in sustaining Baloch Sub-Nationalities (BSNs) and is promoting separatist agenda by expressing allegiance with the separatists. 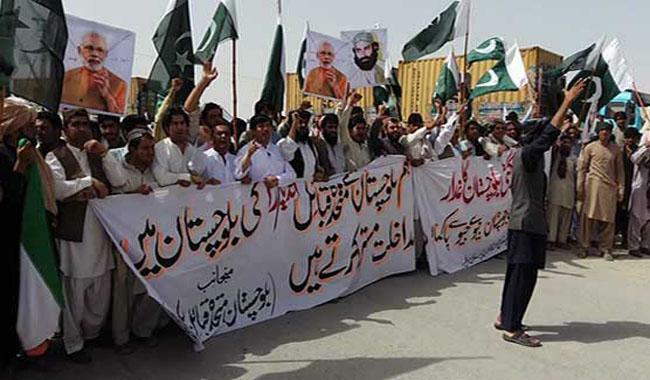 UNPO members participate in every anti-Pakistan activity and protest demonstration organized by Baloch separatists abroad, thereby damaging the image of Pakistan while sowing the seeds of separatism. In this regard, India, the US and Israel have been internationalizing the Balochistan issue in accordance with their secret designs. In connivance with the Baloch separatist leaders who have taken refuge in Switzerland, Sweden, US and London, these foreign elements use media and UNPO including various NGOs and human rights organizations for false propaganda against Pakistan’s security forces and ISI in relation to extrajudicial killings, mutilated bodies and the missing persons. Regarding various demonstrations and rallies of the Baloch separatists and so-called human rights organizations, on August 3, 2011, the former ISPR spokesman, Maj-Gen Athar Abbas, while rejecting human rights groups’ reports about Balochistan as a conspiracy against Pakistan, called for probing the funding of these organizations as this could be traced back to those forces which want to destabilize Pakistan. Notably, Baloch Liberation Army (BLA) is also in collusion with some US Congressmen to get foreign support so as to animate the scheme of separatism in Balochistan. For the sinister aims, BLA and the Baloch feudal lord, Khan of Kalat had planned to take the issue of Balochistan to International Court of Justice (ICJ) and expected that India would pay $2.4 million lawyers’ fee to contest their case in ICJ. As Indian support did not get materialized, BLA and Khan of Kalat went over to US leaders to press forward their case. In February 8, 2012, three Republican Congressmen, Dana Rohrabacher, Louie Gohmert and Steve King tabled a bill before US Congress, supporting an independent Balochistan. 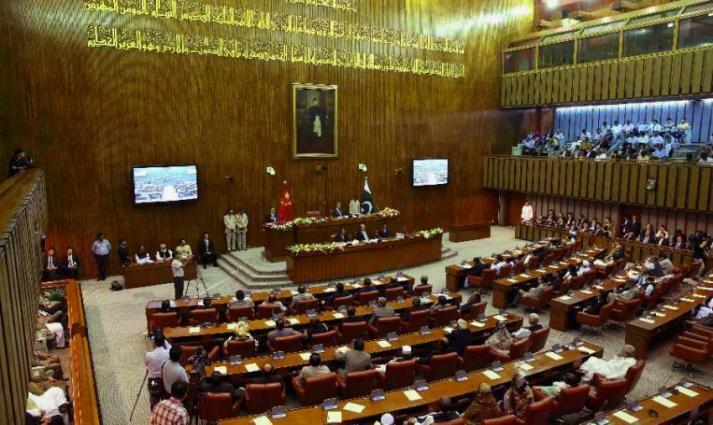 Although the US Administration distanced itself from Congressional hearing, yet US denial does not augur well with ground reality, as American think tanks and NGOs go on instigating the separatist elements in Baluchistan. Nevertheless, about the deteriorating situation of Balochistan, everyone knows the foreign-backed separatist groups like the BLA, BLF and their affiliated outfits including another group, Jundollah (God’s soldiers) which have been fighting for secession of the province get logistic support from American CIA and Indian RAW—these miscreants kidnapped and killed many innocent people and the security personnel in the province through subversive acts including sectarian violence. Therefore, they are responsible for dumped bodies and extrajudicial killings and the missing persons in the province. On a number of occasions, these militant outfits claimed responsibility for their subversive acts. While, a Gallup survey of the UK official body, DFID, conducted on July 20, 2012, disclosed that the vast majority of the Baloch people oppose the idea of an independent Balochistan. This survey has proved that some external entities have been conducting subversive activities in the province by supporting the minority elements, and are inciting the other Bloch persons for independence of Balochistan. As a result of the elections 2013, the government led by a nationalist leader Chief Minister Balochistan Dr Abdul Malik Baloch has been established. Being progressive and moderate man, he ensured that socio-economic justice would meet with success, while playing a key role in empowering Baloch leaders to manage the affairs of their province and also to participate in Pakistan’s decision-making process. And on December 7, 2013; local bodies elections were largely held in a peaceful manner in Balochistan. Observing the intentions of the hostile powers which have eyes on mineral resources of Balochistan and its significance due to geo-strategic location, during his trip to Beijing, Pakistan’s Prime Minister Nawaz Sharif and Chinese Prime Minister Li Keqiang signed eight agreements on July 5, 2013 in various fields. The most important one envisages the establishment of China-Pakistan Economic Corridor (CPEC) between deep Gwadar seaport of Balochistan and the historic Silk Road city in western regions-Xinjiang of China—connecting to Gilgit-Baltistan through Khunjerab Pass. Nonetheless, UNPO is not in consultative status with Economic and Social Council (ECOSOC), a UN body to bring any good for the poor of the less developed nations. Therefore, it is quite evident that western imperialism is behind such organizations to advance their covert designs. No doubt, like some other NGOs, UNPO is violating its own basic charter by advancing imperial agenda and evil designs of the external elements by damaging Pakistan’s interests. The Baloch dissidents are rebels and any organization which promotes the interests of rebels against a sovereign state is illegitimate and illegal. Now, the right hour has come that our domestic media must expose international conspiracy against Balochistan by condemning the activities of anti-Pakistan countries and UNPO by exposing its nexus with BSNs. The folktales and myths of the Baloch constitute an archive of authentic material. Until very recently they possessed no written history or literature only a vast treasure of epic and romantic ballads and tales handed down through the centuries. These constitute an oral tradition from which their history is drawn: and demonstrate the physical and, moral capabilities of the Baloch, his expertise in war, his skill, powers of endurance, his generosity. They also have a darker side highlighting covertness and his overwhelming passion for revenge. The fifteenth and early sixteenth century was the golden age for Baloch. In spite of its being a time of fratricidal war; the great rivalry between the Rinds and the Lasharies ,under their chiefs Mir Chakar Khan Rind and Mir Gowhram Lashari. Both descended from a common ancestor. Amir Jalal Khan of Siestan. Most of the Baloch’s greatest stories and Balads relate to his period. Chakar Khan Rind is the demigod, the larger than life figure, flamboyant and chivalrous. Like King Arthur ruling from his castle and presiding over an array of valiant knights. Only the venue is Sibi and not Camelot, and the knights are Bhivragh, Shahdad, Mirhaan instead of Sir Galahad Lancelot and Perceivable. In spite of its comparative decentness, this era is clouded in the mystery and we can only rely on the Ballads to tell its tale. Like King Arthur, Chakar has become an almost mythical leader. These tales are of war, love and revenge, and like all love have many variations there being no one-authentic version. Mir Shahdad Rind was the eldest son of Chakar, a brave and noble warrior. It is said he commanded the Baloch forces when they helped Humayun recapture his throne from the Suris. The love of his life was Mahnaz, his second wife. They were inseparable, delighting in each others company, exchanging poems and token of love. Murgo his first wife ! overcome with jealousy, conspires to bring about Mahnaz’s downfall .By intrigues and charades (disguising herself as a man), she convinces Shahdad that Mahnaz, his most devoted wife is in love with the shepherd Umar. Shadad’s fury is uncontrollable, he curses and beats Mahnaz, accusing her of identify. She plead s, implores that she innocent, for it is only him that she loves. but to no avail. Shahdad is unmoved by her pleas. Mahnaz heartbroken, leaves Shahdad and returns to her family. To prove her innocence and restore her family honor she agrees to undertake a trials by ordeal. The stage is set, both the families are there to witness the trial. Mahnaz has to retrieve a ring from a pot of boiling oil, if she does this without scalding herself she will prove her innocence. Calmly she puts her hand in the pot and removes the ring, without injury to her. Shadad is over joyed and rushes to embrace her, but she turns away. He begs forgiveness, but now Mahnaz has lost her! faith in his love and insists that Shahdad divorce her. He is shattered and cannot believe her intransigence but faced whit no option, complies with her request. To further wound Shahdad’s pride she marries the shepherd Umar. This distresses him deeply; Mahnaz has chosen a shepherd and rejected him, a prince. He vents his feelings through verse, which he sends to Mahnaz. Umar is like the hyena, Who inhabits the mountains. Who feeds on carcasses and lives in caves. O’ prince you are now incapable of any thing. But to sit in thin house and criticize later Umar is the sword-wielding horseman. He is the leader of the herd. And further on Shahdad intelligence for believing Murgo. Your intelligence is like water that drips, From a Shepherd’s Mashkizeas. Down to his heels, Mahanaz is regarded as the finest Balochi poetess. She is by all accounts a truly remarkable woman. Poor Shahdad having lost his love repents his folly for the remainder of his life. The Sir Galahad of these tales is Bivragh Rind (the name is a distortion of Abu-Bakar). This valiant knight was the nephew of Chakar, an accomplished poet, musician, fighter and lover. He played havoc with both the enemy and women’s hearts. He traveled to distant lands and his exploits and loves were many. Once whilst visiting Kandhar, he is put in jail for some misdemeanor. His cell is next to the Governor’s palace, from where he witnesses an apparition. This vision of loveliness is Granaz, the Governor’s daughter. Bivragh is love struck, and from that night he sing to her from his confinement. The power and beauty of his voice moves Granaz to ask her father to pardon him. Once free Biragh is not to be denied. He visits Granaz at the palace and both decide to elope. On his trusted horse Mal they frees, with the Governor and his army in pursue! it. Bivragh decides to go to Gandhava, and seek refuge with Mir Gowhram and the Lasharis (his bitter enemies), instead of Sibi to Chakar Khan and his own tribe the Rinds. For he knows that Gowhram will be honour bound to protect him as his ‘Bahot’. Bahot is a custom of the Baloch whereby cannot be denied to one seeking it, be they even enemies. In fact the refugee giver becomes duty bound to protect with his life his “Bahot:. Thus Bhivragh clever move ensure that both Lasharies and the Rind come to his rescue. The combined armies of the Baloch are ready for battle against the army from Kandhar, under Shuja-ud-din-Zumun. But now Bhivragh realizes that due to his folly thousands may perish, therefore he will not let his happen. So the night before hostilities are to commence, Bhivragh steals into the enemy camp, seeks out the Governor’s guard tent and after slaying the guard enters his tent. O’ King I am Bivragh – the truth full one. And a heinous deed I hath done. I come now to seek forgiveness. For Kings are truly magnanimous. But, if thou does not pardon me. Then take thy sword – and stay me. Shuja-ud-din-Zumun. Over whelm! ed by Bivragh’s bravery and courage forgives him. And willingly accepts this gallant Baloch his son-in-law. The armies return, no blood is shed, Bivragh’s valor wins the day. Another instance of Bivragh’s wisdom is when he advice Chakar, not to stake the Baloch race for a Jat woman’s camels. The Jat woman is Gohar who having rejected Mir Gowharam’s amorous advances seeks ‘bahot’ with Chakar. Offend by her act Ramen (Gowhram’s son) and a group of Lasharis kill a few of Gohar’s camel. The Rind chief is furious and vows revenge for this dishonour. This leads to the thirty years war between the tribes, destroying the power of the Baloch and leading a poet to exclaim. “War has been the curse of the Baloch”. Of the many battles fought during this war. Nali is most often evoked by the balladeers. At this battle thousands perished. The Rindhs suffered heavy casualties and even Chakar would have lost his life it was not for the chivalry of a Lashari nobleman, called Nodband! agh. In Balochi lor, he is like Hatim generous in the extreme, and also known as “Zarzawal” (Gold Scattered). But Nobbandagh is supposed to have had a Rind mother. For when Gowhram shows his displeasure at his act of rescuing Chakar, Nodbandagh says that it was his mother who used to sin him. Lullaby’s of Chakar and pray that one day he would help Chakar.”I cannot go against the milk of my mother “,he says. Jat woman feature prominently in the Baloch story tellers repertoire. They are acclaimed for their beauty, spirit and independence. Shali is a jat woman of great wealth. She hears of Hassan Maulanagh of the phuze-Rindhs,his noble character and other virtues, for he is the epitome of Baloch manliness. In spite of many suitors she send a proposal of marriage to Hassan !He also falls in love with her and they are engaged to be married. But before the conjugal rites can be performed, Hassan along with his brother, Mohammad is killed by a rejected suitor of Shalli. Sha! lli is heartbroken and spends the rest of her days as Hassan Maulanagh’s widow. An interesting aspect to this tale is that when Harim is asked to marry Shalli his brother “widow” (a common custom amongst the trebles, both Baloch and Pathan), he refuses. For she was his brother’s love and he will not impose himself upon her. And it is because of this refusal that even today amongst the Gishkori tribe (direct descendants of the Phuz Rind )widow are not married to their brother in laws. These are just a few tales of the Baloch. The dry and barren land of the Balochistan evokes the rich and diverse imagery that transcends time and place and speaks directly to the soul. PM Gilani accompanied by Gen Kayani visited Kabul at a time when a visible thaw has occurred in Pak-Afghan relations. Karzai has repeatedly expressed his keenness to remove misgivings and to establish friendly ties with Pakistan since dawn of 2010. He wants Pakistan to play its role in finding an amicable solution to Afghan problem. While agreeing to establish tension-free cordial ties, the visitors gave proofs of Afghan and Indian subversive activities in Balochistan. The hosts were pressed to give an undertaking that in future the Afghan government would not allow Indian interference in Balochistan or any other part of Pakistan. Presence of certain undesirable elements in Afghanistan since the establishment of Northern Alliance heavy regime of Hamid Karzai has been the cause of sour relations between the two neighbors. Afghanistan-Pakistan constructive dialogue is possible only after Afghan rulers make a solemn pledge that it would not allow Afghan soil to be used by India for launching covert operations against Pakistan. While Pakistan has always vied to maintain cordial and tension free relations with Afghanistan and has never tried to exploit its land lock handicap, successive regimes in Kabul have traditionally treaded hostile path towards Pakistan and have remained inclined towards India. Pakistan’s softness towards Afghanistan has stemmed from commonality of religion and centuries old cultural ties. It was only during the Taliban rule that Pak-Afghan relations were friendly and Indian influence had waned. Who doesn’t know the pathetic fate of Muslim Central Asian states which were brutally traumatized and their rich culture and identity demolished by Russia? But for Pakistan’s role, history of the globe would have been different since Soviet Union would not have fragmented. It was because of Pakistan’s principled stand that it had to inherit innumerable problems from which it is suffering to this day. In 1980s, Pakistan faced the brunt of KGB-KHAD-RAW-AlZulfiqar sabotage and subversion for over a decade. Now it is facing CIA-RAW-RAAM-Mossad-MI6 covert war as well as drone war since 2004.